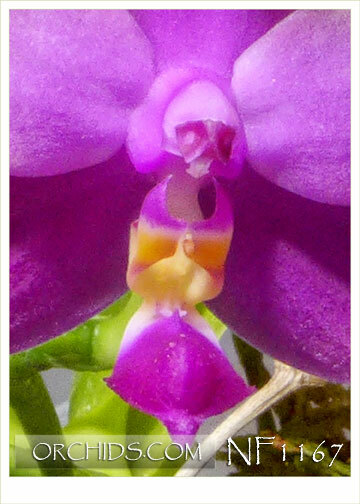 A wonderful mating of two very special and deliciously fragrant forms of Phal. violacea ! The first one to flower produced deep magenta waxy flowers with just a touch of bright green at the tips of each segment. 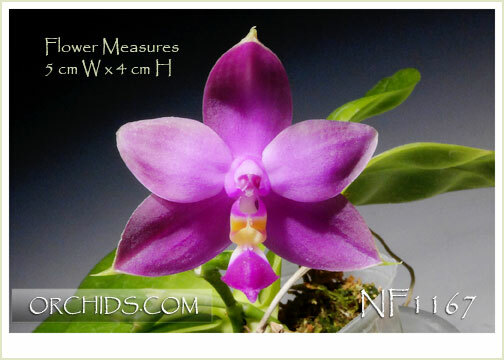 A much more compact grower from the Phal. 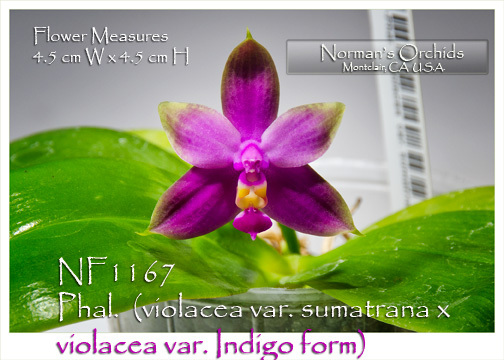 violacea indigo parent but a free-bloomer from the Phal. violacea var. sumatrana pod parent. Since this is a seedling population, not a mericlone, there will be variation from one plant to the next. But if you love Phal. violacea, you simply must flower a few to enjoy the full range of possibilities from these two great parents. Very Highly Recommended !